I have been growing a tree for about a year now. I believe I am ready to cut my first branch. I would like to take the whole branch off right up to the trunk so as the tree grows it looks like there never was a branch there to begin with. Now what ways would you go about doing this. I keep the plant outdoors right now. It is bright and sunny where I am and my bonzai seems to be thriving at the moment. 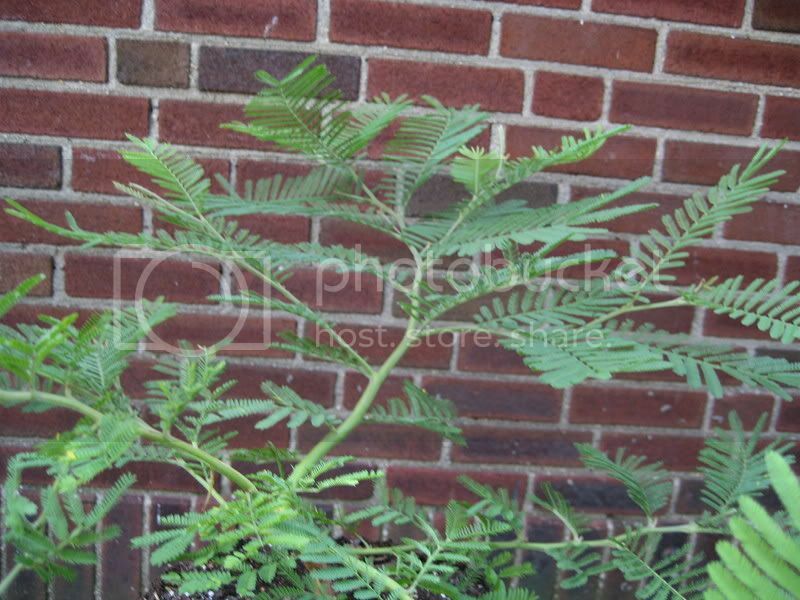 I would just like to hear some opinions on how I should go about pruning a actual branch one centimeter in diameter. I want to minimize the trauma to my bonzai. If the tree is only a year old then you need to wait a couple years before doing anything to it. I started the plant in July last year starting it from a seed. 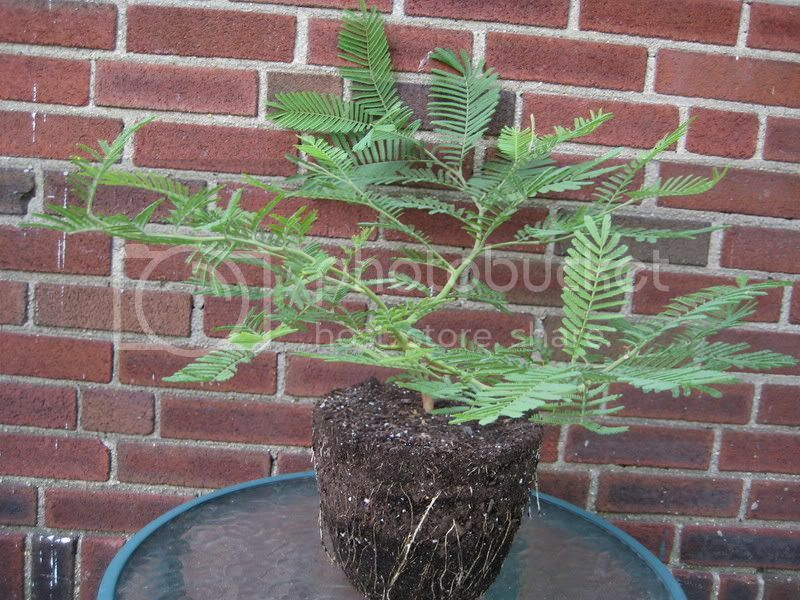 It is a fast growing Acasi Mimosa. I'm not so sure about cutting anythnig yet. I am not familiar with this tree but from what I have been told about Japanese Maples, I would wait for a couple more years. Wait for more posts from some mor experienced folks. It would be a good idea to post some pictures of it. To remove the branch probably requires plenty of leafs on the tree, so when you remove the branch your not stripping it of its foilage. My camera does not work so no can do with the pictures. I would just like to get information on how to go about cutting the branch. What are the procedures you follow in cutting a branch. Slow Down. Patience is the key. It's probably too early to cut the branch. As was said in another post, there needs to be enough foliage. If you cut the branch it may shock the tree so much it'll go into a downward spiral. As I said earlier, wait for somenoe like Norm or alisios or someone with more experience. They might be on vacation so it could take a couple days. What are the procedures you follow in cutting a branch. With some species you can cut it back with a slight hollow, others like azaleas are best cut no deeper than flush. Some species die back, so a stub is usually left to dry out naturally. It all depends upon the species, unfortunately I have no experience with this species. Perhaps some others can help. I suppose a safe route would be to cut it back leaving a stub and after it dries you can come back later and clean it up. After a little experimenting you will know what is best. Kenshin14435 wrote: wait for somenoe like Norm or alisios or someone with more experience. I don't even give myself good advice! 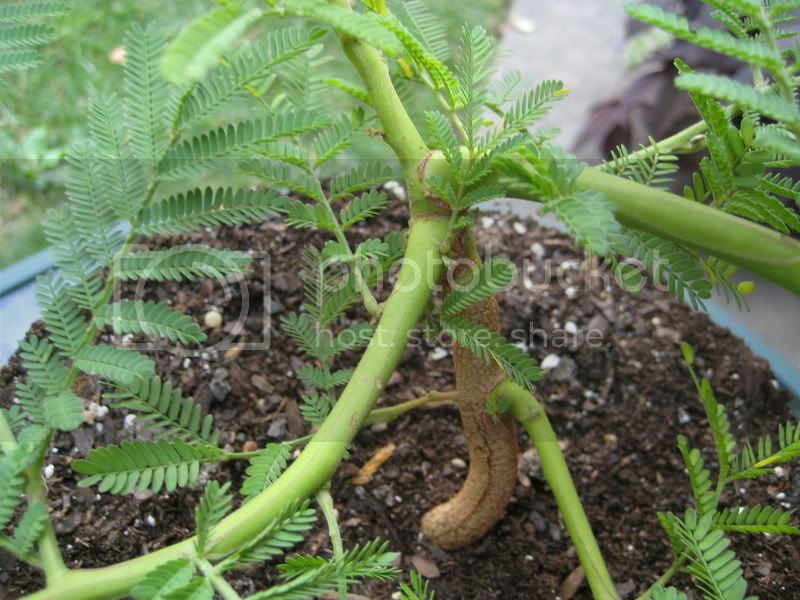 I know that most most mimosa trees like to have branches pruned with a slight hollow; or flush to the trunk, and there bark can heal quite fast. However, I would wait to prune it. If you want to, you cold gradualy defoilate the branch, as this will 1) slow its thickening rate, and 2) reduce the stress when it is finaly removed. thank you bonsaiboy. I have been testing the dieback on my bonzai for awhile and I think the best route would be to slowly defolliate the branch and then cut it to a midsized stump. I do have a question regarding when the best time to cut a branch would be. Which season is best from pruning the branches. Depends on the individual tree. Right now, in growing season, is not the best time to remove an entire branch. But, again, depends on the individual tree. I agree that a concave cut is probably best. Can you post a picture of the tree and which branch it is that you wish to remove? If the tree was grown from seed planted last season, I doubt there is any need for concern about bark or how it will heal over. It probably doesn't have any real bark yet. But I have to ask, why are you wanting to cut off a branch from such a young sapling? It is counter productive to what should be your short term goal - getting a trunk to thicken up. Branches can always be removed later. Let it grow for a few seasons. Remember, everything cut now will slow the process. So I finally got myself a new camera so here are the pictures. I am looking at the box my plant came in right now so here is all the info. I bought this kit from Urban Outfitters a little over one year ago. It is titled Miniature Indoor Bonsai Tree Garden. 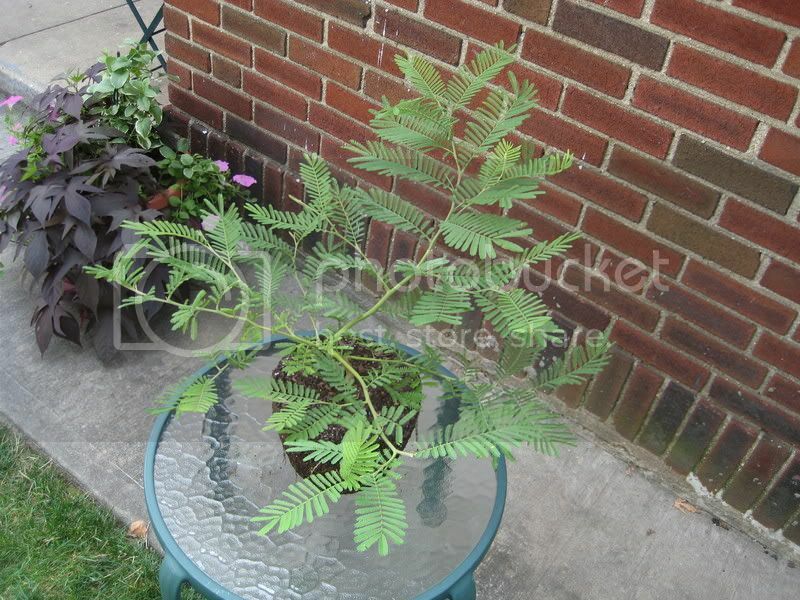 The type of tree is a Mimosa Acacia Tree, underneath that title it says it is a Dealbata Silver Wattle. Underneath that it says Abundant Fragrant Silver Blossom. I grew it from seeds and this is what it looks like now. When I took my plant out of the pot and examined the roots I noticed these very tiny white bugs. There were by no means alot of them but I did notice a few crawling on the outside of the soil. 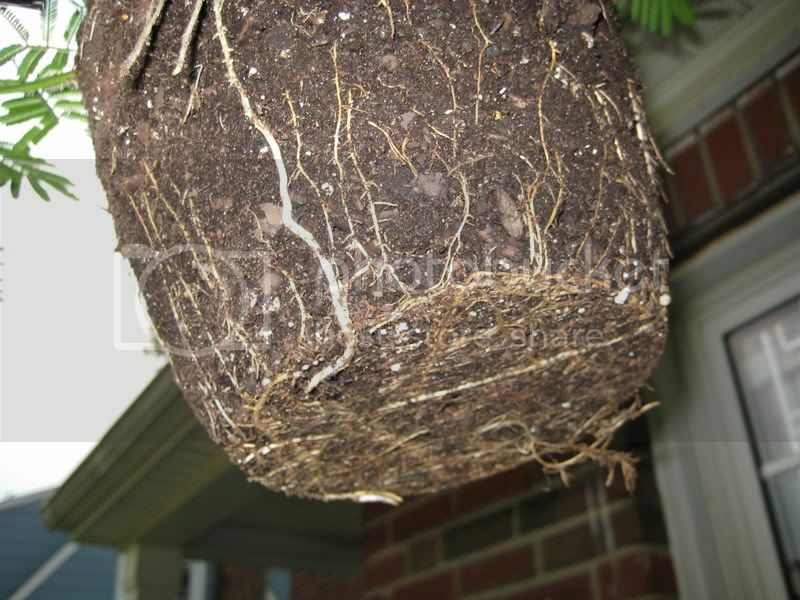 Also the roots of my plant smells very bad. I cant really describe the smell other then nose tingling.